Just as the almond wraps its kernel in a protective shell, Almond Sensitive Skin Body Lotion gently protects sensitive skin. The lotion, with organic almond oil, strengthens the skin’s own protective function and helps to defend against exposure to the elements. 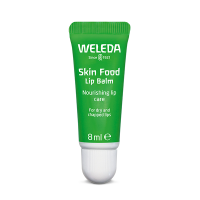 At the same time it provides long lasting moisture, thereby reducing feelings of skin tightness. 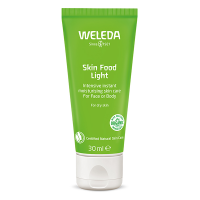 Weleda Almond Sensitive Skin Body Lotion absorbs quickly, calms skin prone to irritation and helps to reduce redness. 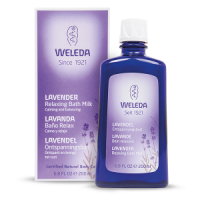 It restores the skin’s natural balance, for skin that feels silky soft. Turn the bottle upside down and shake before first use. Apply after bath or shower. 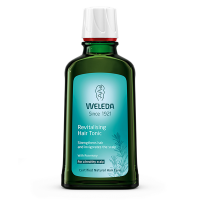 INCI: Water (Aqua), Prunus Amygdalus Dulcis (Sweet Almond) Oil, Alcohol, Glycerin, Squalane, Behenyl Alcohol, Cetearyl Glucoside, Beeswax (Cera Alba), Chondrus Crispus (Carrageenan) Extract, Xanthan Gum, Lactic Acid, Fragrance*.